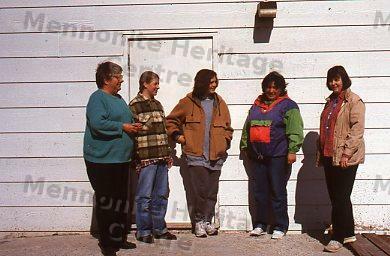 A group of women in Pine Dock, Manitoba. Jean Simundson is wearing green. Edith von Gunten is on the right. Linda and Ivy Toews and Violet Lea are also pictured.